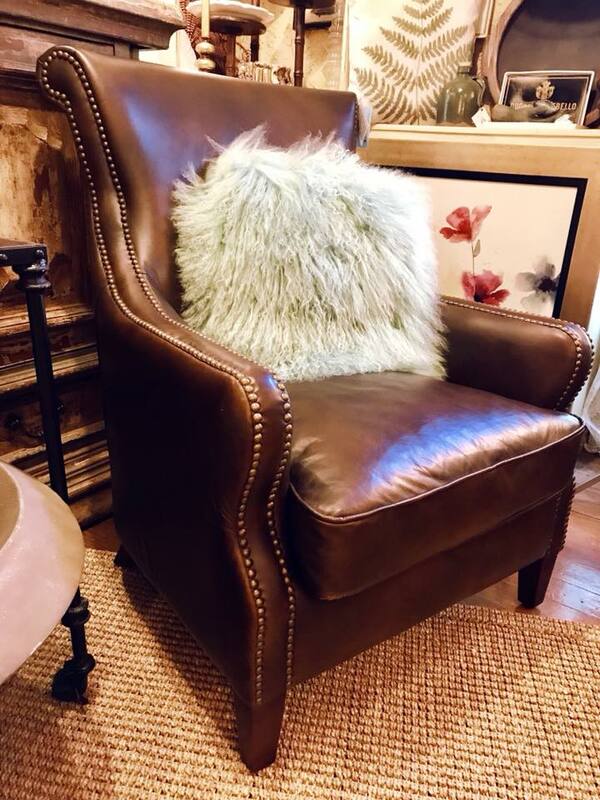 These beautiful cigar leather chairs have modern lines, lovely brass nail head detailing, smooth as butter, and sit like a dream! They are market specials they won’t last long. Would be beautiful as a pair in front of a fireplace, in an office, or bedroom they are quite lovely! More enamel hand painted coffee mugs are in!